When New York-based Maneet Singh hopped onto a Dubai-bound flight for a family vacation little did she know that she would be meeting her life partner Karan Shahpuri at the end of her 13-hour travel journey. Maneet confesses that in the beginning she almost refused the alliance but changed her mind when she got to know Karan and his family over the next few days. 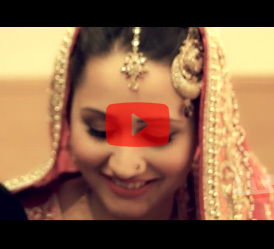 Karan and Maneet’s wedding film reflects the story of two individuals taking a big chance as they make the most important commitment of their life. They embarked on their new journey with a four-day celebration held across the most amazing luxury hotels in Dubai. 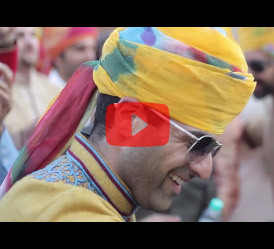 And these moments have been brilliantly captured by the Weddarazzi team.